The Eptanova universe has a new star: Epta North America is the new Market Company born in May 2018 from the acquisition of TW Graphics Group, a company based in the City of Commerce of Los Angeles, California. EPTANOVA leads an extended know-how in providing complete advanced finishing solutions to a variety of industries, with companies all around the world. Our Business Brands – EPTAINKS, EPTACOAT, EPTATECH and EPTAINKS Digital – develop and manufacture products and applications in the domain of industrial printing inks (screen printing, pad printing and digital printing), innovative functional coating and advanced materials technology. We provide our customers with a complete range of innovative products and quality services, designed to offer a tailor-made solution to every demand. 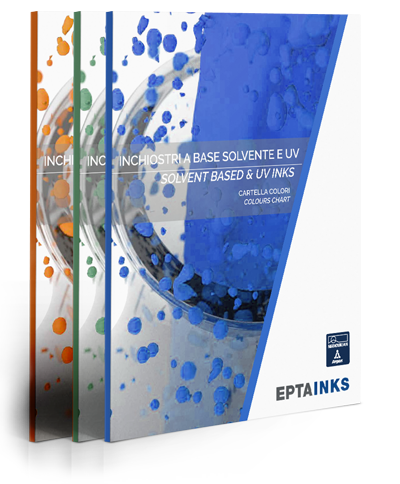 EPTANOVA markets a wide selection of inks for the textile and fashion industry, developed and produced for screen and pad printing processes as well as for digital printing. Discover the innovation of EPTANOVA advanced quality finishing and smart solutions, with the elegance, comfort and customization of the finest Interior Design. EPTANOVA continuous interest for innovation finds application in inks and coatings development for electrical appliances, electronics and in the field of entertainment. EPTANOVA offer for Leisure industry includes a wide range of solvent based inks and UV inks developed for screen printing, pad printing and digital printing. EPTANOVA provides finishing solutions for a large number of applications in the Mobility industry, with a products range suitable for different production processes stages. EPTANOVA products meet the industry specific needs, with applications for food and not-food packaging, cosmetics, pharmaceutical, bottles and labels printing. EPTANOVA develops and supplies security inks for brands and documents protection: we ensure products integrity against any fraud or counterfeiting attempt. EPTANOVA develops and manufactures specific inks and coatings for graphic printing in the Signage industry: promotionals printing, advertising, traffic signs, neons and banners.